This updated edition introduces our patented E-Z Play® Today notation, which makes it easy to read notes, chords and musical terms, through 16 familiar songs. A perfect introduction to the world-famous E-Z Play Today songbook series with an accompanying CD to make the learning process even easier. Also includes Keyboard Guides and Pedal Labels. Explains how to improvise E-Z Play Today arrangements. 12 songs: All Through the Night Amazing Grace Andantino Dark Eyes Fascination Give My Regards to Broadway and more! Continues the instruction from Book A to provide the player with more advanced technique. Also features 18 more great tunes. 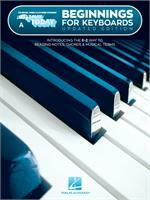 This supplementary songbook works with instruction books A, B, and C in BEGINNINGS FOR KEYBOARDS. Includes 28 super songs, including: Crazy Edelweiss Memory Stand by Me and more!